City’s Professor of Hydrodynamics, Professor Qingwei Ma, says better design of flood barriers and increased capacity of rivers may have prevented the disasters in Cumbria and Lancashire. 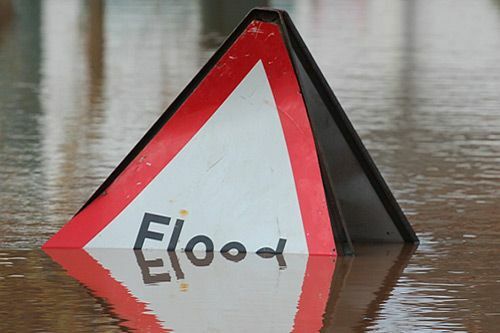 City’s Professor of Hydrodynamics in the Department of Civil Engineering, Professor Qingwei Ma, says that in order to prevent disasters such as the devastating floods in Cumbria and Lancashire from occurring again, flood barriers need to be better designed. More importantly, he says, the capacity of rivers such as the Derwent must be increased by widening and deepening them. Professor Ma, whose area of research includes the interaction between fluid/water-waves and structures, says the reasons why the flood defences proved ineffective will become clear through site investigations after all of the flood water has fully subsided. Some 5,200 homes were severely flooded after Storm Desmond wrought havoc in the North West on 5th December 2015. The devastation was caused by record-breaking amounts of rain which also claimed the lives of two people in Cumbria and Northern Ireland. The flooding of large areas of Cumbria, including Cockermouth, Keswick and Carlisle (as was also the case in 2009) was in part due to the River Derwent overflowing its banks. In 2013, the Government embarked on a £4.4m scheme of flood defence works and the construction of the UK’s first ever self-closing flood barriers. However, this investment proved to be ineffective, especially given the heavy rainfall in Cumbria, which measured 341.4mm – almost 13.5 inches. The previous record of 316.4mm was measured in Seathwaite during the 2009 floods. A flood barrier, surge barrier or storm surge barrier is a specific type of floodgate, designed to prevent a storm surge or spring tide from flooding the protected area behind the barrier. A surge barrier is almost always part of a larger flood protection system consisting of floodwalls, levees (also known as dikes), and other constructions and natural geographical features.